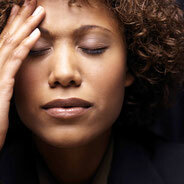 The World Health Organisation (WHO) declares stress is the biggest health threat of the 21st century. Excessive and sustained stress - whether we perceive it as such or not - and no recovery phases can lead to a burnout; a state of total emotional, mental, and physical exhaustion. It can impact everyone: Students; parents, assembly-line workers, office clerks or top-class executives, unemployed or self-employed individuals; everyone can suffer from unrelenting stress in their way. You have already undertaken the first and most important Step. You have realised that you are not a victim, and you can take charge of your life and you can change it. Perhaps this is why you are here seeking more information to consider your next step.